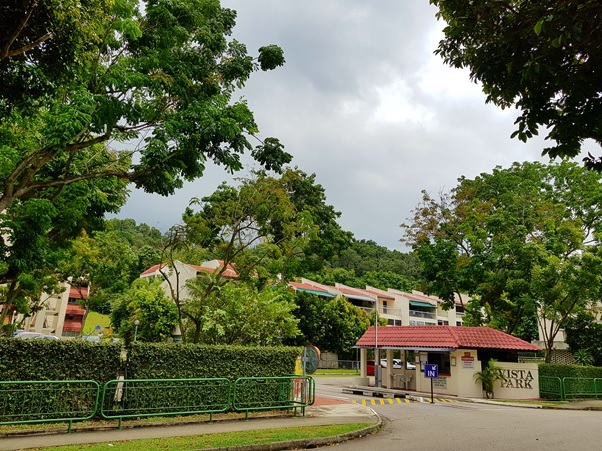 Listed property group Oxley Holdings announced that its bid of $418 million has been accepted by the strata owners of the 209-unit Vista Park condominium on South Buona Vista Road, off Pasir Panjang Road. Vista Park sits on a 319,250 sq ft site with a 99-year lease from 1979. Oxley intends to apply to the Singapore Land Authority for a fresh 99-year lease, with the lease top-up premium estimated at $72 million. Inclusive of the lease top-up premium, the purchase price translates to $1,096 psf per plot ratio (ppr). The site has a plot ratio of 1.4 and maximum height of five-storeys, and has the potential gross floor area (GFA) of around 446,951 sq ft. The site can therefore, be redeveloped into a new project of about 530 units, assuming an average size of 800 sq ft per unit. Teakhwa Real Estate was the marketing agent, and the site was said to have received five bids at the close of the tender on Dec 13. Vista Park was put up for sale by tender on Nov 17, with an asking price of $350 million. Hence, Oxley's purchase price of $418 million is 19.4% higher than the asking price. This marks the third successful collective sale deal in two days. The day before, the freehold 32-unit Parkway Mansion was sold for $146.99 million ($1,536 psf ppr) to a Sustained Land-led consortium and the 18-unit Derby Court went to Roxy-Pacific Holdings for $73.88 million ($1,390 psf ppr).